The government in December last year decided to bear the MDR applicable on transactions made through debit cards, BHIM-UPI and Aadhaar-enabled payments system up to and including a value of ₹2, 000 for a period of two years with effect from 1 January 2018. 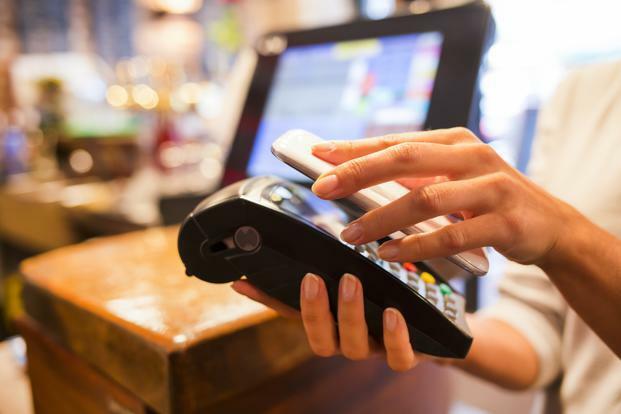 New Delhi: More than nine months after the government’s move to bear the merchant discount rate (MDR) applicable on digital payments via debit cards up to ₹2,000, the digital payments industry still awaits reimbursements from banks. In a major push towards making India a less-cash economy, the government in December last year decided to bear the MDR applicable on transactions made through debit cards, Bharat Interface for Money-Unified Payments Interface (BHIM-UPI) and Aadhaar-enabled payments system (AEPS) up to and including a value of ₹2, 000 for a period of two years with effect from 1 January 2018. According to the Payments Council of India (PCI), the industry body representing all digital payments companies in India, the government has already reimbursed the MDRs applicable on these transactions for a period from January to June to banks. Despite this, banks have not reimbursed the amount to merchant aggregators and acquirers, leaving the payments industry in a fix. There is also no clarity on the extent of reimbursement that will be shared with the aggregators. “As far as I am aware, none of the banks has reimbursed for debit card/UPI/AEPS transactions processed from 1 January 2018 till date. Also, major public sector banks like State Bank of India have announced that they will only reimburse 0.15% of the transaction amount to service providers on its debit card transactions accepted at a point-of-sale terminals,” said Vishwas Patel, chairman of PCI. These service providers should ideally be paid 0.25-0.30% as they have invested in setting up the acceptance infrastructure. The IT ministry has said that it will reimburse banks up to 0.40% of the transaction amount, according to Patel. “This will kill micro-transactions as it will make processing below ₹1,000 totally unviable for our non-banking merchant aggregators and acquirer members. Overall, MDR reimbursements taking such a long time is a major concern area for all our members,” he said. Considering the Reserve Bank of India and National Payments Corporation of India (NPCI) transaction data for debit cards, UPI, BHIM and AEPS from January to June 2018, over 3 billion transactions have been processed with a value of over ₹4,500 billion, said PCI in a statement. It is estimated that the MDR to be reimbursed to banks in respect of transactions less than ₹2,000 in value will be ₹1,050 crore in 2018-19 and ₹1,462 crore in 2019-20, a government statement said in December last year. The industry body estimates that around 80% volume and 60% of the total value of transactions done through debit cards are for a value of below ₹2,000. This translates into a significant amount of business cost incurred on such transaction, for which MDR reimbursement is due.